We help you fix it and finish it. With all the training, resources, and tools available for small businesses today, it's easy to find what you need in the market, but it's getting harder and harder finding the time to do what actually needs to be done. These clinics are designed to DELIVER a package, NOT just information. So get that half-completed proposal, certification, and scope of work off your desk. Are You Doing What's Urgent and Leaving the Most Important Things for Your Business Undone? Most people spend too much time and energy on a daily basis prioritizing - trying to decide which of their many responsibilities and many tasks deserves their attention at any given time. With work responsibilities, family obligations, social obligations - and let's face it - social media tugging on you, it's easy to let the most important things go undone while other seemingly urgent matters get your attention. But the future always comes. The inevitable always happens, and time always ticks by faster than we anticipated. That means the most valuable thing you can do for your business is plan for the future. You have to take those important actions RIGHT NOW that will lay the foundation for your stability and profitability later. 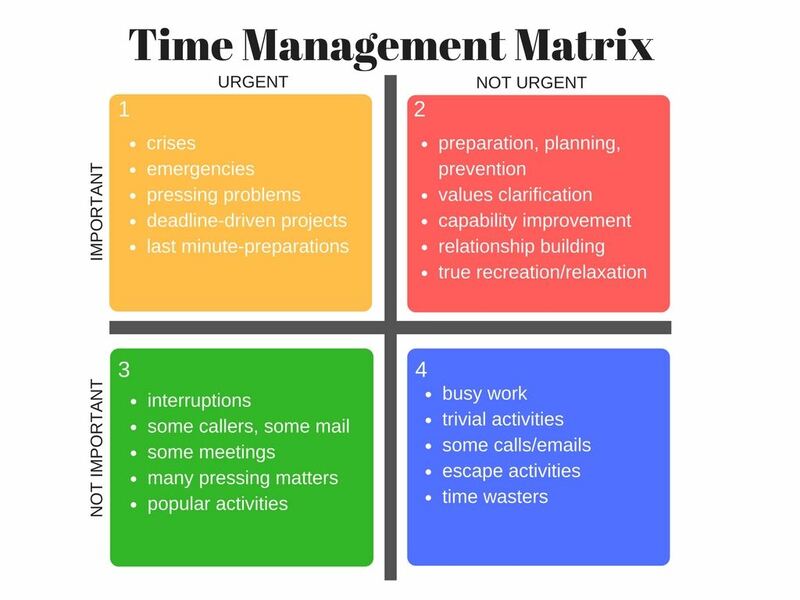 The four quadrants of Eisenhower's Time Management Matrix. In which quadrant do you typically find yourself? Your business? When it comes to things like putting a contingency plan in place, you can't wait until you need one to create it. Just like you can't wait until you get the call to negotiate the big contract to come up with a profitable pricing strategy. 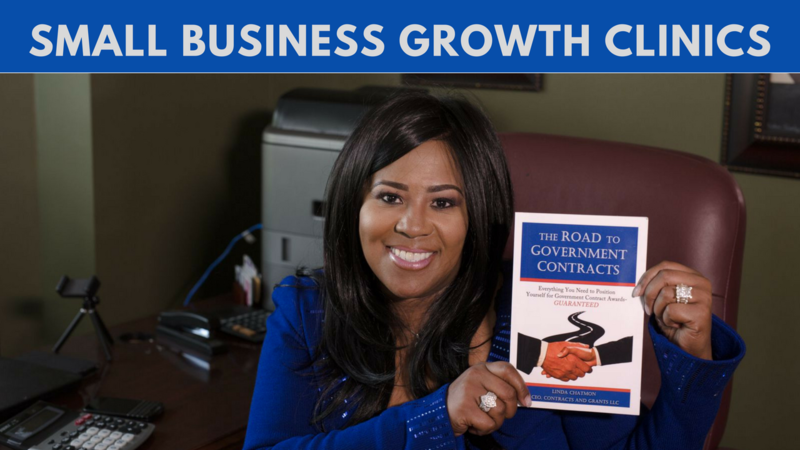 Small Business Growth Clinics are designed to help individual service providers, busy entrepreneurs, and member-based organizations to identify and FINALLY EXECUTE the right business growth strategies. This isn't your run-of-the-mill seminar series where participants pay to learn strategies they never get around to implementing. Our participants don't work in silos, taking notes and ruminating on what comes next. Small Business Growth Clinics are what we call "working sessions". These are day-long, live training clinics where our team of Subject Matter Experts work shoulder-to-shoulder with you to help you identify, organize and execute strategies that will actually get you to finish line, whatever that may be for your business. So bring your laptops, roll your sleeves up, and lets get busy!! Most people don't take action on the things that matter most when they need to do it. This includes entrepreneurs. That doesn't have to be you. Case in point: At any given time, we may have hundreds of people enrolled in our training and development programs. But only 3 companies in every 10 actually complete the training. Even fewer actually take steps to fully implement what they learned in a way that drives change in their business. Based on our experience, fewer than 15% of the stakeholders we train and prepare actually take massive action. That means 85% never get around to implementing their training in a way that drives change in their businesses. Don't let that be you. Regardless of which you clinic you take, each session in a Small Business Growth Clinic will walk you through the process of getting the outcomes you need to move to the next level. We chose the nine topics we did because they are common pain points for businesses small and large. But each session is customized to meet the needs of our attendees. Each clinic is what we call a working session. They are customized to meet the specific needs of our registered attendees. Before registering for an event, participants must complete a short survey that lets us know what their biggest challenges are in business building, business development, government contracting, and customer acquisition. During the live clinic, we address each of the issues we saw in the surveys. We limit participation in each clinic to ensure you get the attention you need and that your specific issues are addressed. Participants will have the opportunity to direct their questions to our experts. Click one of the buttons to learn more about the clinics and register.